In people’s life, graduation can be one of the most important events and achievements to celebrate. Graduation can be such a door for someone to end a phase and enter another phase in their life, and one step closer to the future dreams as well. This is one of the reasons why you have to sincerely express and show how happy you are for the people who are graduated, especially if the happy graduate is your special one. Choosing the recipient’s favorite flower as the flowers for graduation gift will never fail to make your recipient happy with the gift. If you don’t know or if the recipient doesn’t have some particular flowers as the favorite, you can choose the flowers based on the recipient’s preferences of colors and their kind of personality. Tell the florist and let the experts do it for you. After you choose the flowers accordingly, you can also customize the bouquet. You can customize it by choosing how you want the flowers to be arranged and in what color you want the paper bouquet is. Now you can give some personal touch like the gift card or other sweet little gifts that will make your recipient happy even more. You can write your own messages on the gift card or add some quotes that you think is a suit and need to read by your recipient. Now that you are ready with your bouquet, it’s time to choose how you want the recipient to get your flowers. 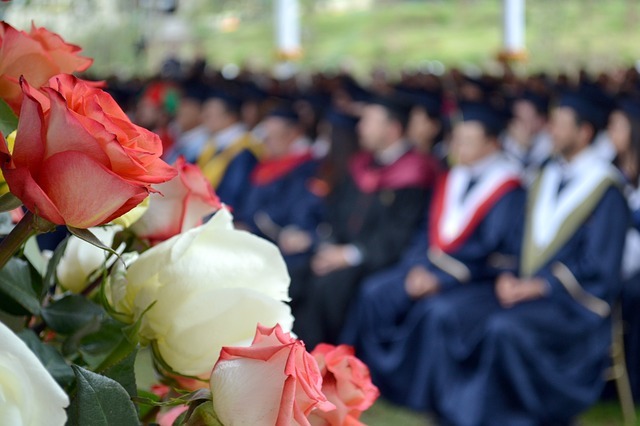 You can either bring it personally or deliver them using the delivery service to their home if you are not able to visit the graduation ceremony. Whatever is your choice, make sure that you choose the best florist to create your flowers as a graduation gift.